Ratcliffe Buildings - Bricknall, Mrs. M.
These three shops are all in one overall building - Ratcliffe House. 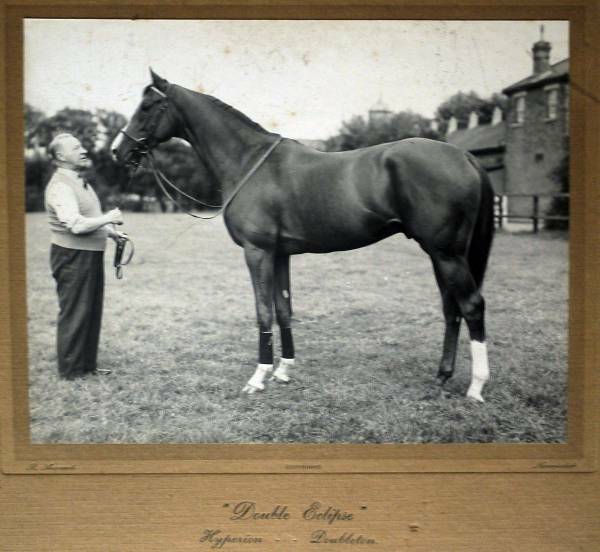 Meaning 'Red Cliff'; Radcliffe, Radcliff, Ratliff and Ratcliffe (plus many more) are all spelling variations of the same surname - in this instance the house was named after a William Ratliff / Ratcliffe. William was a farmer from Leamington, Warwickshire. He married his wife Ann Edwards (born 1805, daughter of Robert & Elizabeth) from Dullingham in Dullingham village church on 11th May 1825. MARRIAGES. On Wednesday sennight, Mr. W. Ratliff, of the Rutland Arms Inn, Newmarket, to Miss Edwards, of Dullingham, near that place. 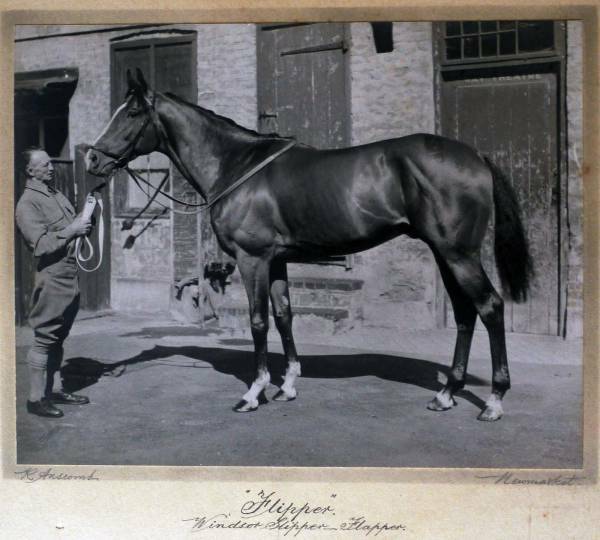 William first came to Newmarket a year earlier in 1824 and initially took up managership of the Rutland Arms Hotel - No.33 High Street, he moved to this house sometime between 1839 and 1851. William clearly became quite a significant member of the local community, at one time farming 400 acres of land. He was a member of the Newmarket Farmers Club, founded in 1858, which held farming competitions in the town - he was quite successful in these. ... extensive premises at Newmarket, including the Subscription Room, has been purchased Mr. W. Ratliff, of Newmarket. Births, Deaths, Marriages and Obituaries "... at Newmarket, Ann, wife of William Ratliff, aged 78 years." WILLIAM RATLIFF, Deceased- ALL Persons having any claim or demand against the Estate or Effects of WILLIAM RATLIFF, late of High-street, Newmarket. EXNING HOUSE ESTATE, Near NEWMARKET. ARRANGEMENT OF SALE. 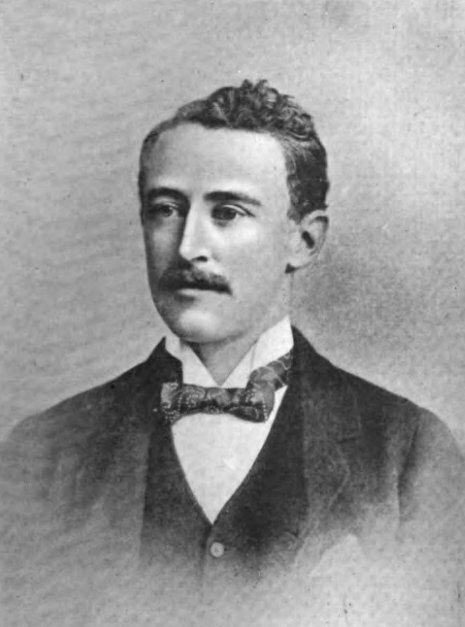 HENRY STANLEY and Co. Are preparing particulars of the above Important PROPERTY for Sale as follows :- The main portion of the ESTATE, with the beautiful MANSION, known as EXNING HOUSE, surrounded by LAND of the finest quality to the extent of 2416 ACRES, all let to first-class Tenants on yearly tenancies. Very little of the Property consists of purely Agricultural Land. The Estate is so situate and so circumstanced that nearly the whole of the Land may be regarded as available for accommodation purposes, possessing a prospective value far exceeding that of ordinary Accommodation Land, mainly on account of the fact that the Town of Newmarket - the Metropolis of the Racing World can only extend by acquiring Sites from this Estate. Apart from the facilities which it affords to Gentlemen interested in Racing, the Exning House Estate is one of the most enjoyable and unique, as a Residential Property, in the Eastern Counties. The Mansion is most substantially built of Red Brick, of Classical Design, is perfect in all its interior arrangements and decorations, and the grounds are well laid out, not too extensive, and abound in natural beauty. It is situate in the midst of the heath society in the two Counties of Suffolk and Cambridge, and offers a position to a capitalist very seldom to be obtained. The Estate and Neighbourhood cannot be equalled for all Sporting purposes. The well-known MODEL FARM, which has been for many years so admirably managed by William Ratliff, Esq. It is approached by a Lodge Entrance from the Fordham road, about half-a-mile from the town of Newmarket, and consists of 206 a. Or. 19p. of the finest Land in Exning, lying altogether in one Field, with very superior Farm Buildings, which might easily be converted into a Stud Farm. About 88 Acres of the same Field (the poorest part) was purchased in 1879, at an average of £180 per Acre, by Messrs. T. Jennings, sen., M. Dawson, and F. Archer, and is now occupied as Paddocks, for which there continues a growing demand. If this portion of the Estate is not sold in One Lot, it will be divided into Lots of from 20 to 60 Acres. An Important Tract of BUILDING and ACCOMMODATION LAND, at the West End of the town of Newmarket, commencing at the Heath Gate, and running parallel with the Heath as far as the New Stand. This section of the Estate comprises about 127 ACRES, and includes all the Land occupied by Mr. M. Dawson, and a small portion of Mr. T. Sabin's Farm. It is proposed to act out a Private Road, 30ft. in width, the whole length of the Land abutting upon the Heath, and to lay it out as a Terrace for Racing Establishments, in sites of about 10 Acre 3 each. ... at Exning. The Manor House and Grounds at Exning, the Wheatsheaf Inn, at Exning, and a very valuable Block of Buildings, near St. Mary's Church, in Newmarket, occupied by Mr. M . Dawson. The above very valuable and important Properties will be offered by Auction, at the Mart, Tokenhouse Yard, London, E.C. Exning House Estate originally belonged to John Dobede, he died in 1875 leaving the hall to his son Henry Dobede. Apparently at the time of the sale it was in a 'ruinous condition'. The Jockey Club bought Lot 1 for £165,000 (The main portion of the Estate with The Mansion and 2400 acres of 'very fine land') and Lot 3 for £25,000 (An important tract of Building and Accommodation Land adjoining the Heath at the west end of Newmarket, approx. 138 acres). Lots 1 and 3 adjoin the racecourse. Their reason for this purchase was 'to prevent the building of houses overlooking the course'. 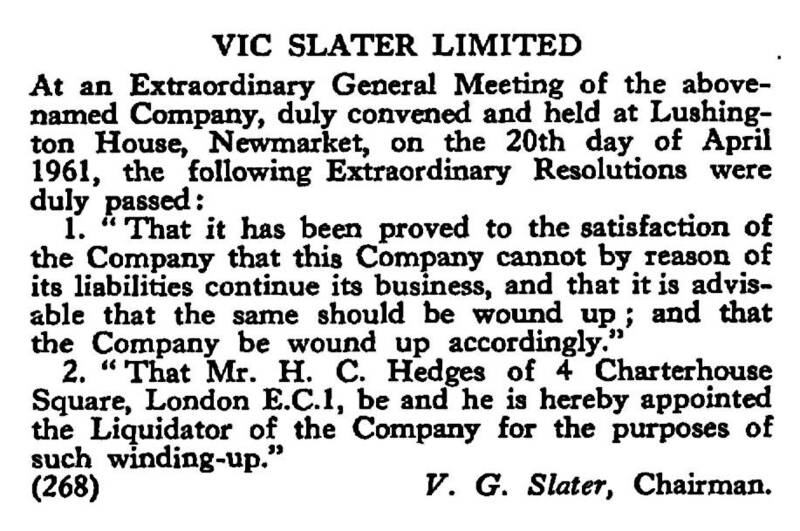 Another newspaper report about this auction sale, written after the event, can be found on the page for No.43-47 High Street - Fairfield House where it shows that the solicitor representing the Jockey Club in acquiring Lots 1 & 3 was Robert Fenn, and that the Mr. Ratliff's farm, Lot 2, didn't actually sell at this time and was withdrawn at £23,000. Lot 1; Exning Hall and the immediate land, were later acquired by Edward (Ned) William David Baird who set about re-furbishing and extending the house. Due to the above detailed surname variations the house has been referred to at various times as both Ratliff House and Ratcliffe House. According to the record details below the house was put up for sale in 1902 and then a year later in 1903 the shop fronts were added. The narrow passageway to the right of the house (that can just about be driven up) is the present-day entrance into the yard of Grosvenor House Lida Vets. This yard used to be the parking lot for the service vans of the Newmarket Electric Light Company that occupied next door St Hubert's House at one time. 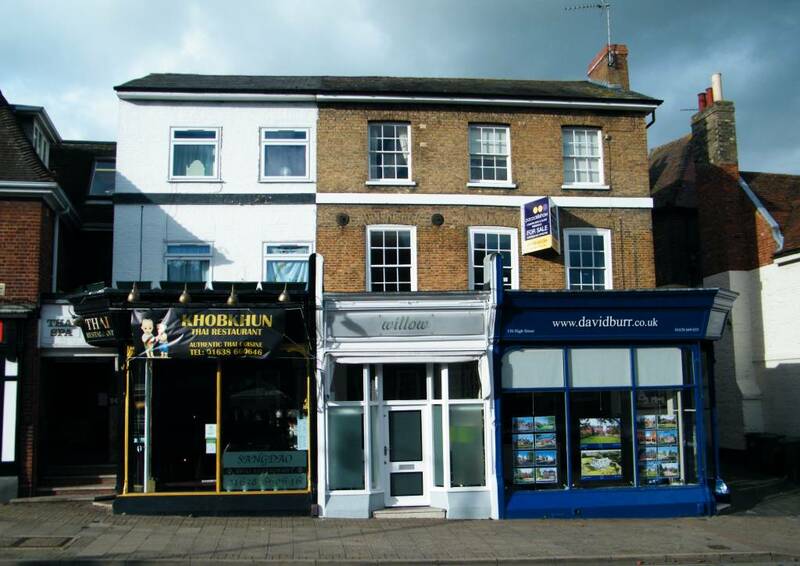 The Sangdao Thai Spa is entered into by a front door that sits tightly between Ratcliffe House and St Hubert's House and is situated on the first floor of this building. Confusingly its present-day street address is No.162, and St Hubert's House proper is No.162a & No.162b. 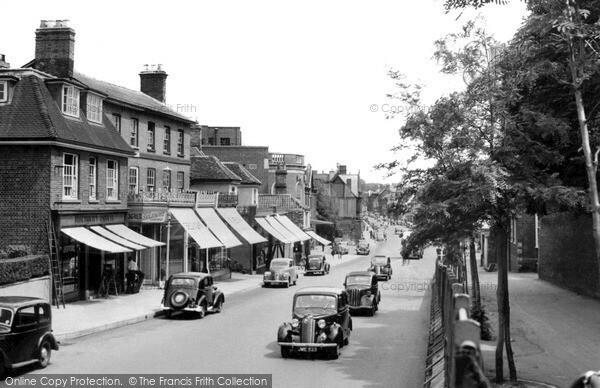 On the left is the Newmarket Electric Light shop, then Selright's, then Topping's shoe shop and finally Anscomb's the photographers. The delicate cresting above the front of the shops is no longer there. The next lower building is the Manor House adjacent to the entrance into the Grosvenor Yard. Beyond that is the semi-circular front of the Doric Cinema and the gable facia of the King Edward VII Memorial Hall. If you compare the layout of the Ratcliffe House shops in this photo to the 1885 map above you can see that the ground floor shop fronts are actually built out in front of the main wall of the house, over what looks like to have originally been a small walled garden as shown on the map. This business was in the small middle shop in Ratcliffe House and moved in after the Topping's shoe shop shown in the 1955 photo above. It didn't last long and went into liquidation on 20th April 1961. 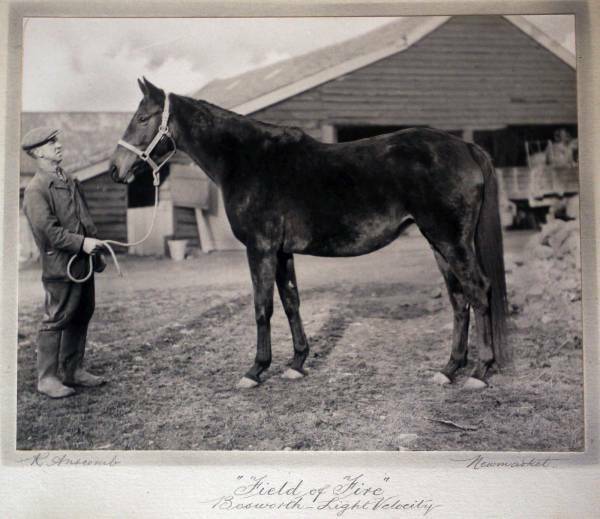 Reginald Anscomb was a notable equine photographer, his shop occupied the larger right-hand side of the house. Reg Anscomb "Ennis (1954) Golden Cloud - First House, W.H. 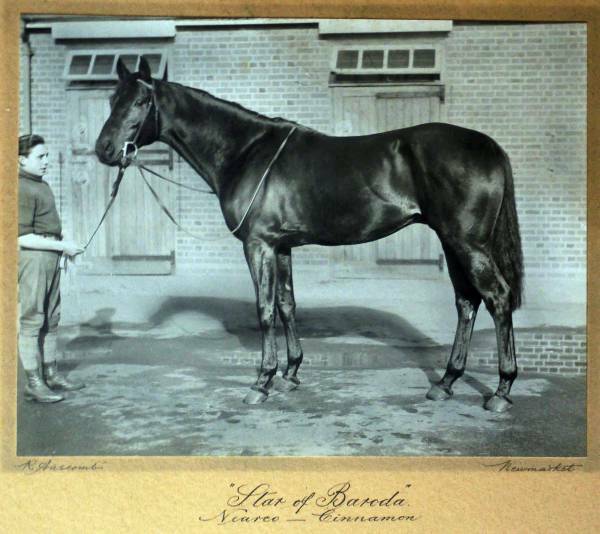 Carr - Champion Sprinter 1956"
Reg was born in Newmarket on 15th Jul 1911, he married Hilda Chinery in 1940 and had two daughters. He died on 19th Jan 1979 aged 67 and he and Hilda are buried together in Newmarket cemetery. Note from webmaster - my claim-to-fame for Reg Anscomb is that in 1961 my 15 year-old uncle went to work for him as a photographer's assistant, working there for a couple of years. He recalls many visits all around the country and even one flight to Ireland to go and photograph famous race-horses for their owners. Reg was also the photographer at my parent's wedding in 1955. Apparently, before taking up photography as a career Reg had been a groceries delivery driver (possibly for the Co-op), making deliveries around the local villages, that included Woodditton. My uncle remembers the quite elaborate techniques that were involved in producing Reg's photographic masterpieces, including 'blowing-out' any unecessesary backgrounds. 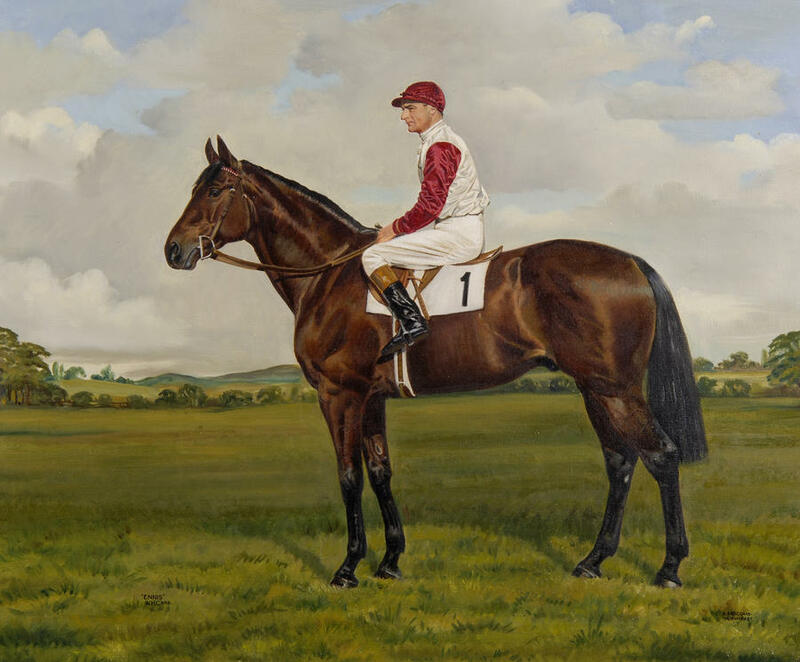 As for the paint on emulsion equine portraits bearing the name R. Anscomb my uncle doesn't think that Reg produced these himself and remembers the original photographs being sent away for the artistic over-painting. It's also curious that many of these so-called 'paintings' have been attributed to a Richard Anscomb of Newmarket. 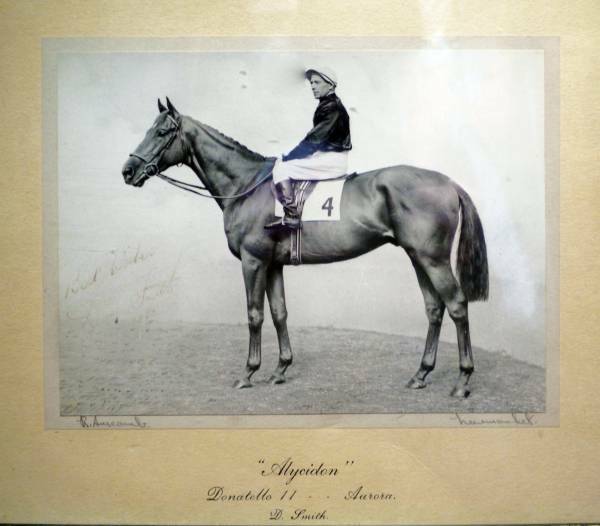 According to records on 'Ancestry' there were only two Richard Anscombs born sensibly before 1950, one in Surrey and the other in Camberwell - neither of these ever lived in Newmarket and don't seem to be related to Reg. Maybe Richard was Reg's middle name or even a pseudonym, or these attributed artworks have associated the incorrect Christian name of Richard to the signature on the paintings which is just 'R. Anscomb' - if anyone can clarify this situation please E-MAIL me. Typical for the era Reg was a chain-smoker and suffered badly from ulcers - it surprised many that he lived to the quite reasonable old-age of 67! Ernest was born in 1875 in Norwich, Norfolk, he was a Drapers Traveller, Credit Drapery Trade. The Credit Drapery Trade involved a weekly collection, however there was no identifiable interest charged, the trader just charged inflated prices to begin with. In 1936 Ernest lived in the flat associated with Selright's Ladies Outfitters - although in the same trade it's not known in what way he was associated with the shop. Selright's occupied the left-hand side of the building and was there from around 1930 until it went into liquidation on 20th April 1967, C. Kingsley was the chairman of the business at the time.